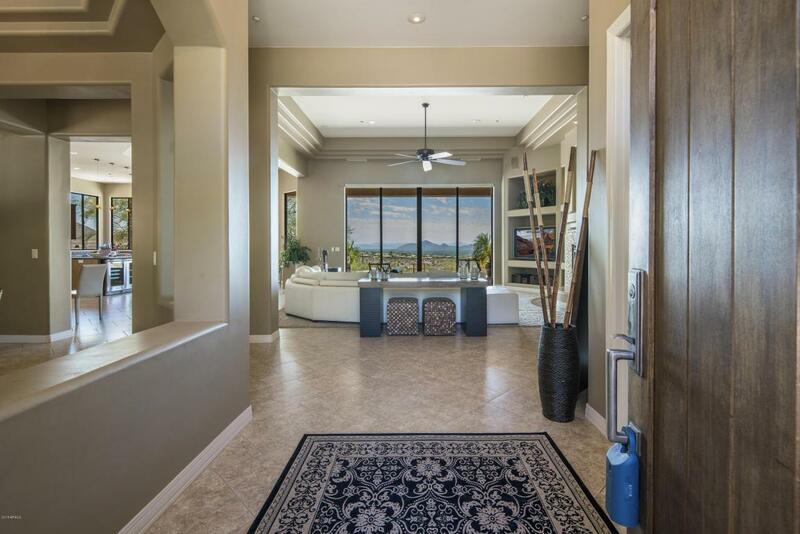 Unparalleled CITY LIGHT & MOUNTAIN VIEWS located in the GUARD GATED Retreat of 100 Hills in McDowell Mountain Ranch. 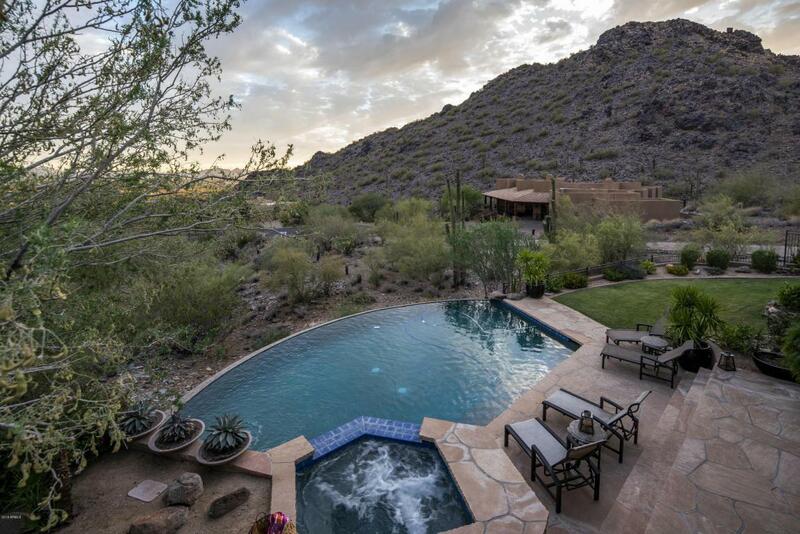 Custom home perched on top of the mountain on over an acre! Great Room concept with disappearing pocket doors that open up the main living space to the expansive flagstone covered patio overlooking the heated negative edge pool, spa, built in BBQ and grassy play area. VIEWS out of EVERY WINDOW in the house!! Kitchen w/granite counters,stainless appliances and B/I wine and beverage coolers. 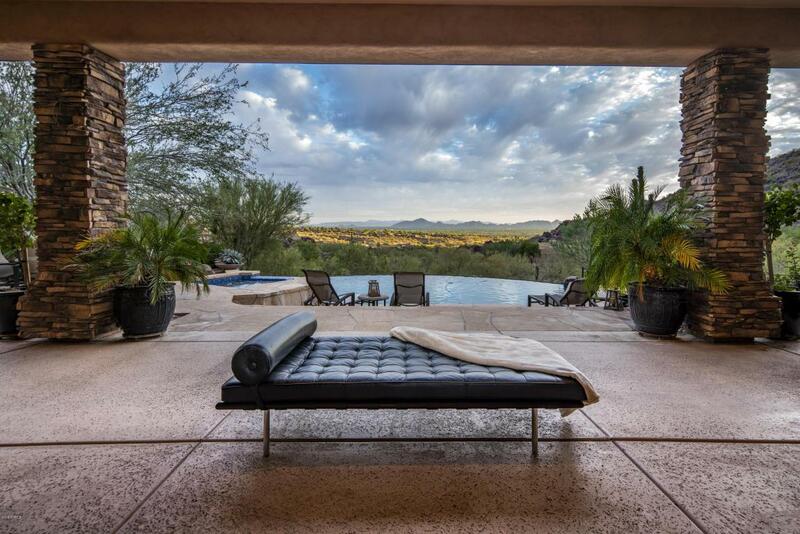 Spacious master suite with stunning views and luxurious master bathroom. Diagonal set tile t/o, surround sound, gas fireplace, and plantation shutters on most windows. Homes like this don't come on the market often...this one won't last long!Award winning McDowell Mountain Ranch has multiple rec centers, with heated pools, spas, tennis, basketball & volleyball courts & children's playgrounds, including a private one for this guard gated enclave of homes which includes a heated pool, spa & tennis courts! Numerous trails, both paved & unpaved, meander throughout the community. And if that weren't enough, there are miles and miles of hiking, biking & equestrian trails at the landmark Gateway to the McDowell Sonoran Preserve trailhead which is just a couple of blocks away. This sanctuary encompasses about 30,000 acres of pristine desert. The McDowell Mountain Golf Club is owned by Phil Mickelson with a beautiful clubhouse & restaurant/grill. The City of Scottsdale Aquatic Center w/lazy river & Library is close by.